The Wolf Among Us Episode 1: Faith was a great start to the series. 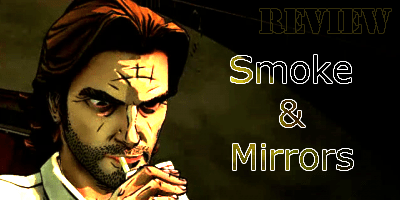 We were introduced to many of the fables frequenting Fabletown and now Smoke & Mirrors continues the investigations of Bigby Wolf in his hunt for a possible serial killer. If you haven’t yet played Episode 1: Faith, then you really will need to be doing so before cracking on with Smoke & Mirrors. You wouldn’t pick a book up and start reading it at page 57 and I’d hazard a guess and say you wouldn’t pop down to the cinema half an hour after the latest film had started. The Wolf Among Us plays out like the very best film and the most engrossing of books and so to jump in a fifth of the way through would be doing everyone, including yourself, a massive disservice. So, taking into account that you have played through the first two hours of the series (and read our thoughts), you’ll be looking forward to what the next chapter has in store. Let me tell you now, it’s no less dramatic and just as absorbing as chapter one and so it should because this is the same game, just split into five separate parts. It is however a lot darker than ‘Faith’ with Bigby finding himself visiting The Pudding & Pie strip joint (owned by a certain Mr Georgie Porgie), a brothel and much seedier parts of town than those oh so lovely places found in the opener. I was expecting a few more characters to be brought into proceedings this time round and am slightly disappointed to see only a couple of new fables hanging around ready for Bigby to get to know and quiz. There’s no doubt they are great additions to the story, but on the whole the fables found in Smoke & Mirrors have already been introduced previously and we still haven’t managed to learn an awful lot more about them. There has been much more of an emphasis on the whole ‘glamour’ thing this time round though and a few unanswered questions I had from the first time are slowly getting responded to. There are far less cut scenes and quick time events in this episode than previous. That’s not in any way a bad thing as it leaves the door wide open to a bit more of the fun investigation work and there is most definitely a lot more interrogation going on. Thankfully, with only one real QTE of note I didn’t have the same feeling I got last time around in that the quick time stuff was a bit too random. This episode is also a fair bit shorter in length and even with me going through everything I could find with a fine tooth comb, I still managed to max out the story at 90 minutes, a full half hour shorter than I managed to complete ‘Faith’ in. If you want to drag a bit more time out of the game then of course you can, but I mentioned earlier that the game plays out like the best of films or the most engrossing of books and by going back over old ground I’m sure some of the ‘first time magic’ will be lost. It all depends if you want to go back to pick up the odd achievement that you may have missed. 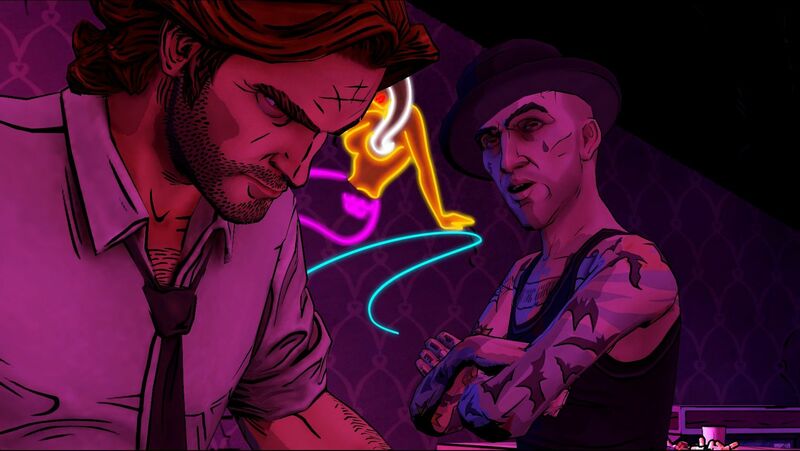 The Wolf Among Us Episode 2: Smoke & Mirrors is however still as engrossing as it’s series opener. It may be shorter, (and it may still have the rather annoying stutter in the odd cut scene), but it still grabs out enough to make me pray that the third episode, ‘A Crooked Mile’ will be with us sooner rather than later. Sooner would be a good thing because I can see Bigby getting angrier the longer we wait! Next articleForza 5 Alpinestars Car Pack available now. Trailer included.